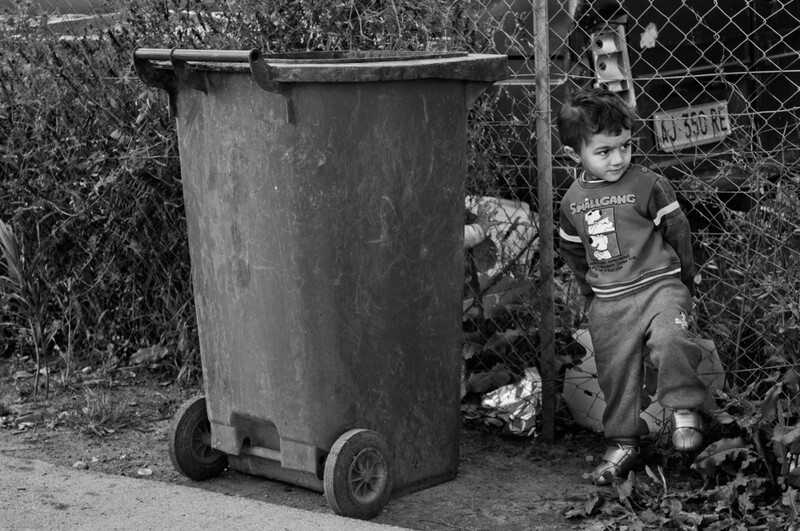 Roma in Italy are often blacklisted as ignorant, aggressive and dishonest people, even when they have no criminal record, or when they just try to spend a simple and “normal” life, (supposing it is normal to live for example in the neighborhood of a water-purification plant), going to work and picking up their children from school. 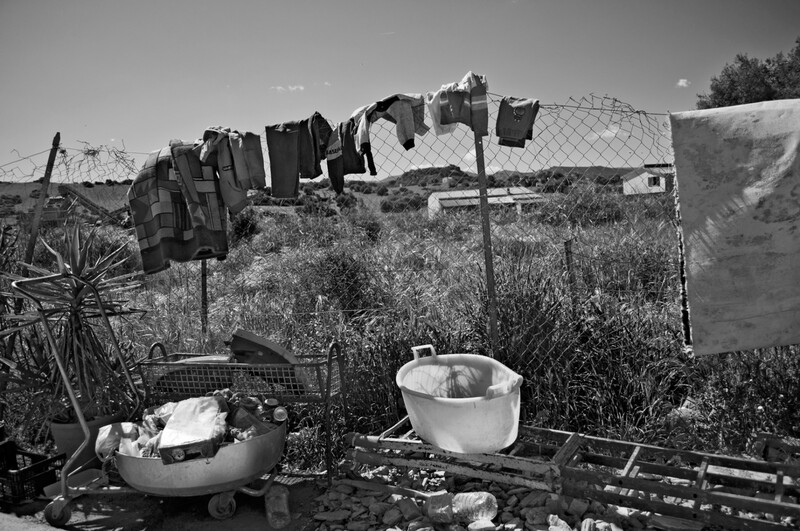 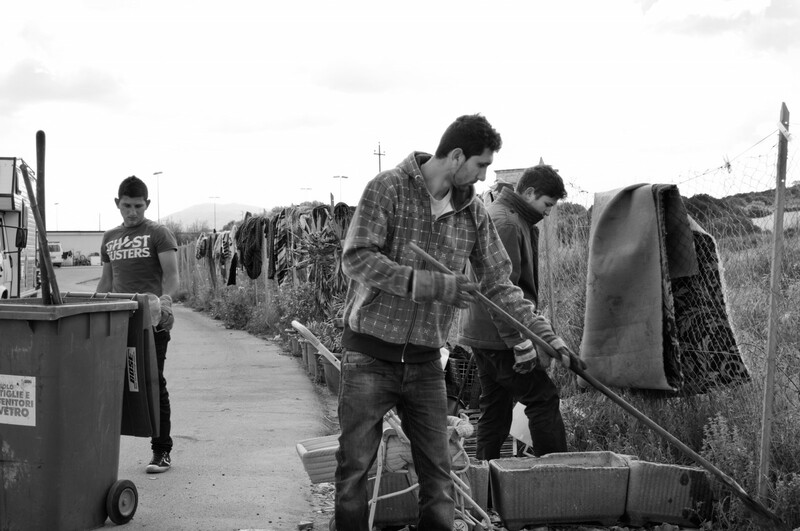 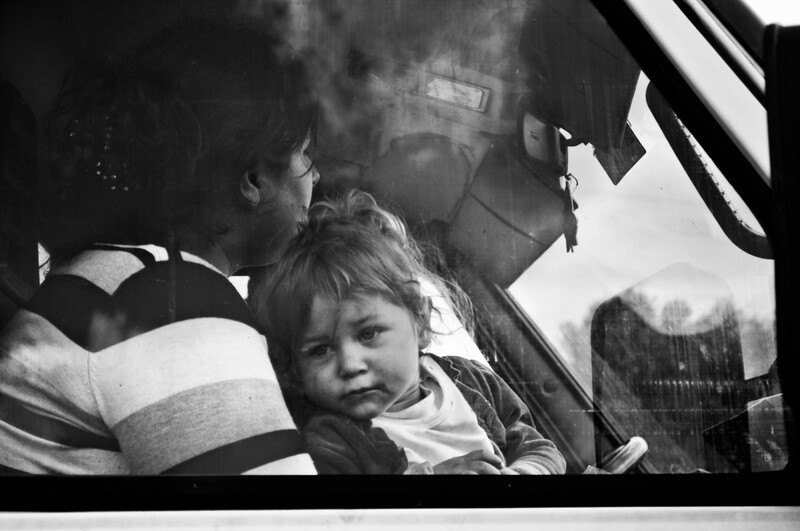 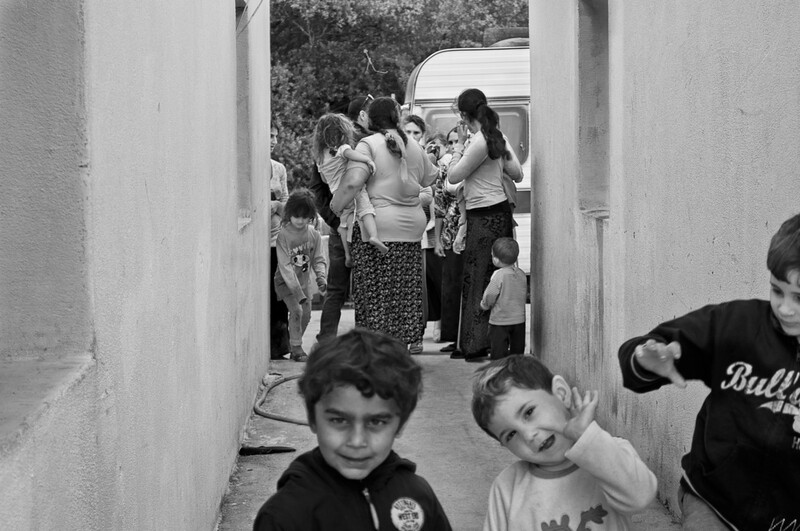 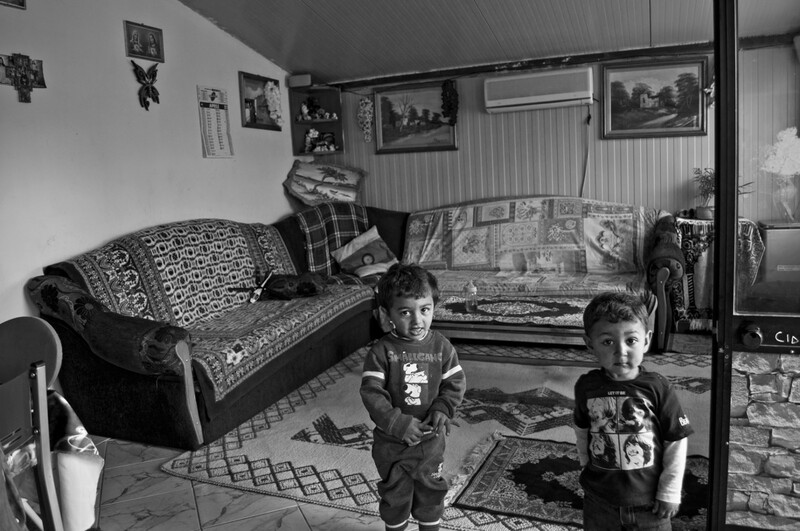 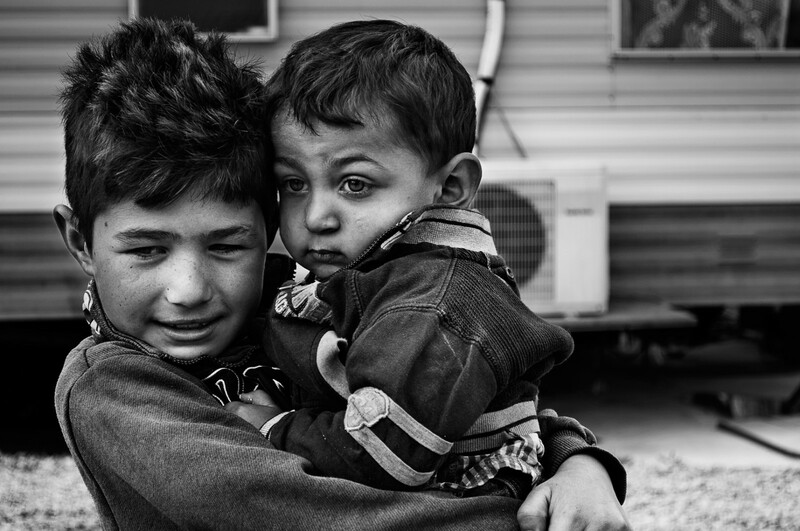 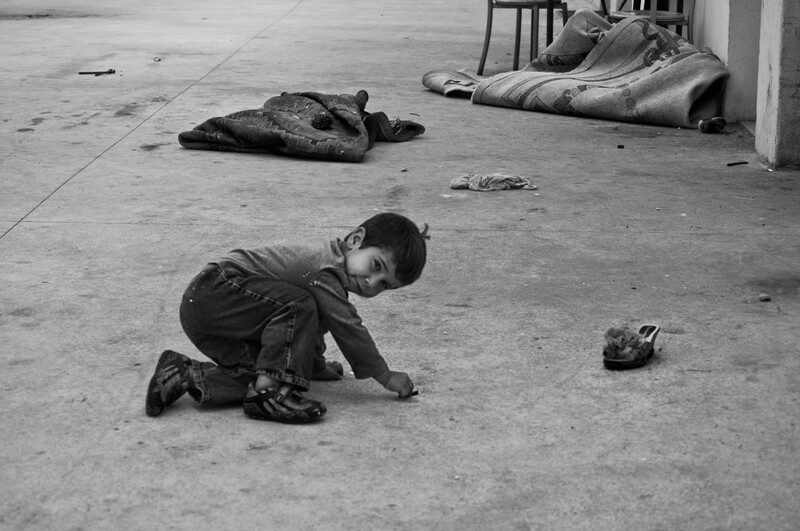 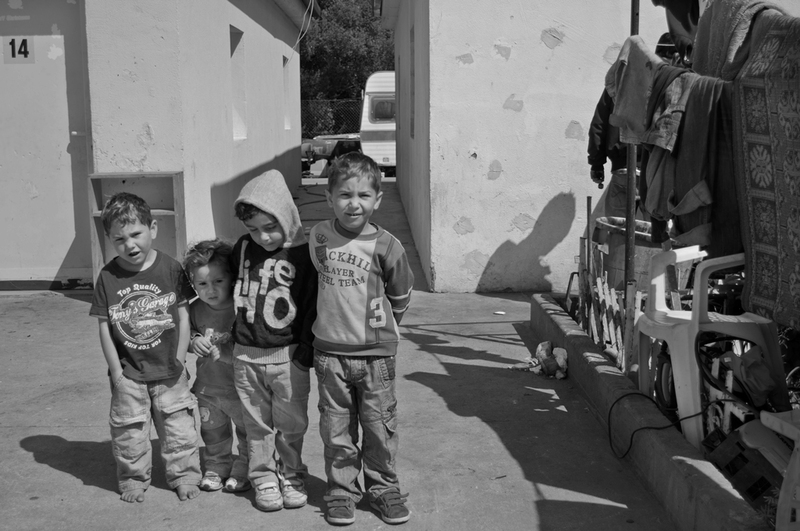 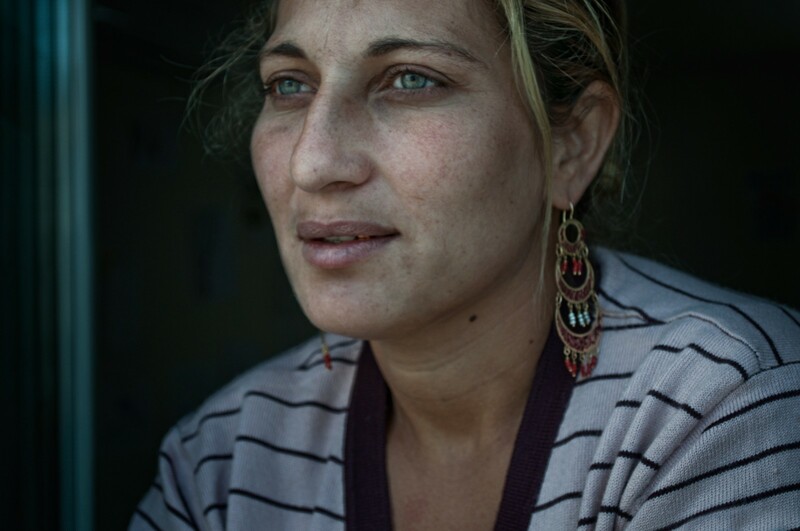 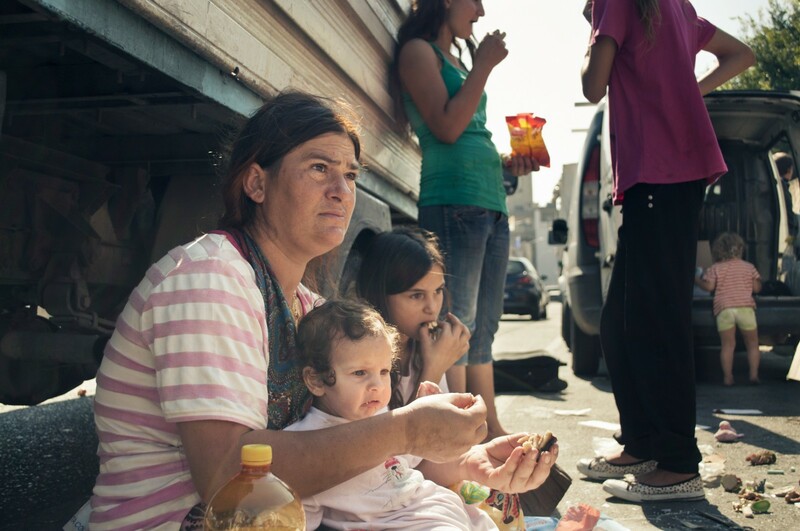 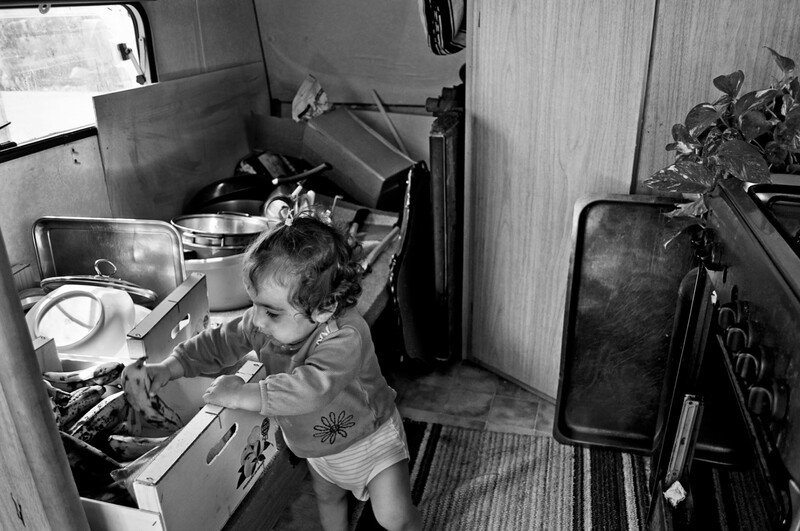 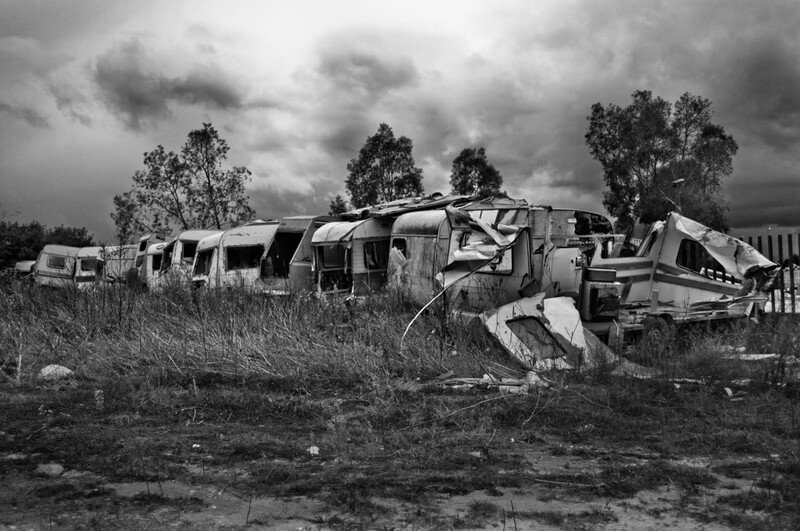 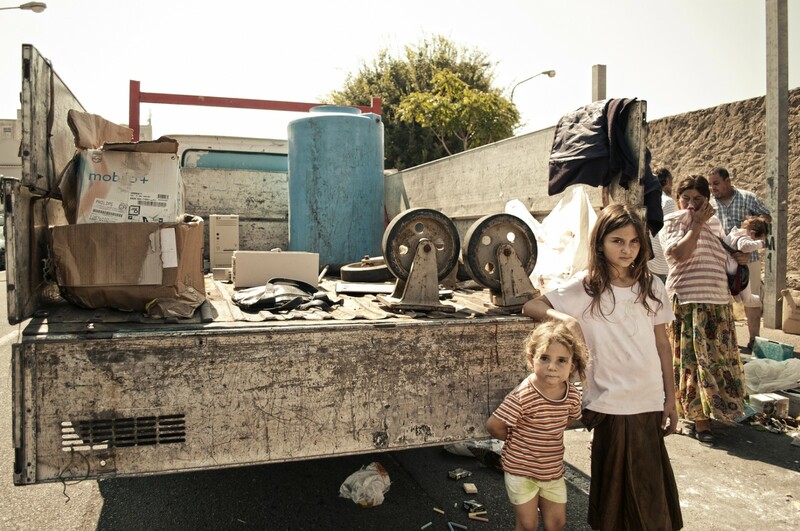 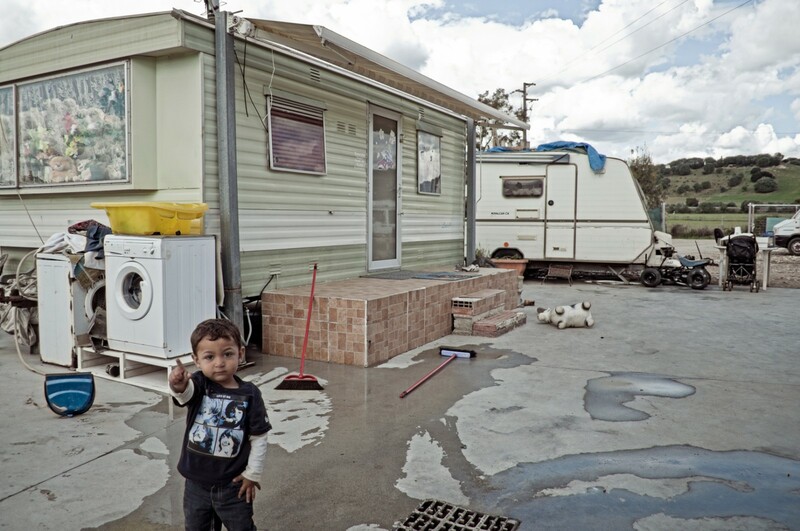 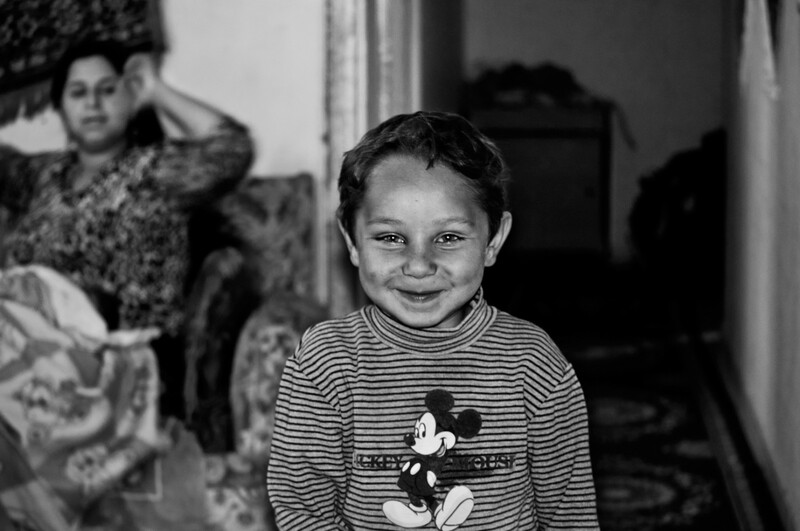 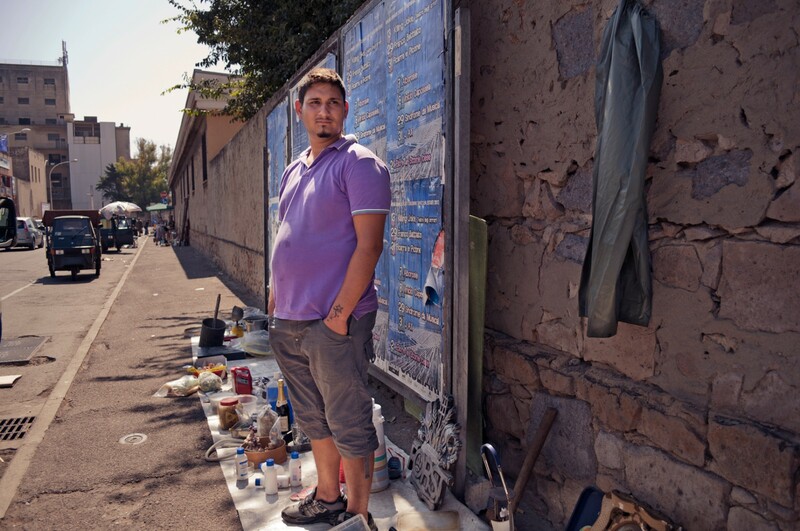 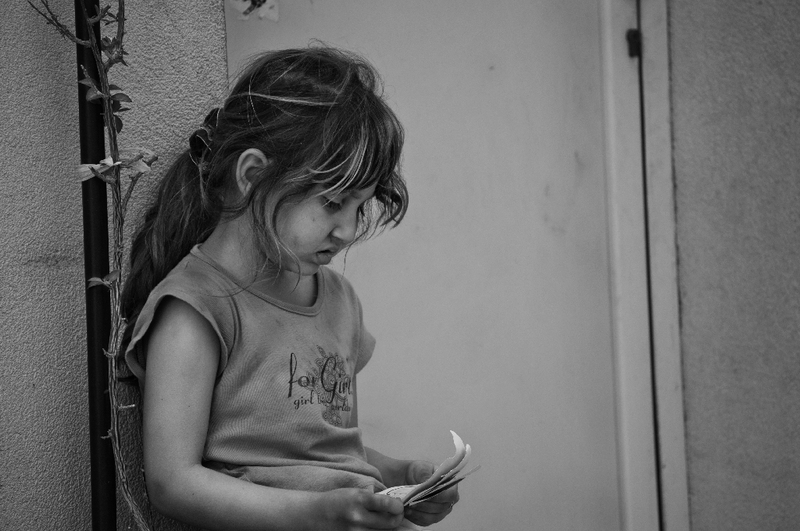 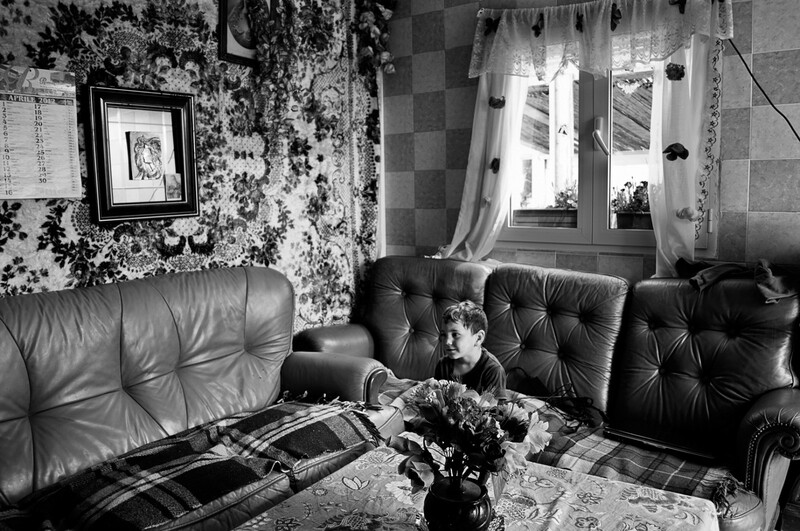 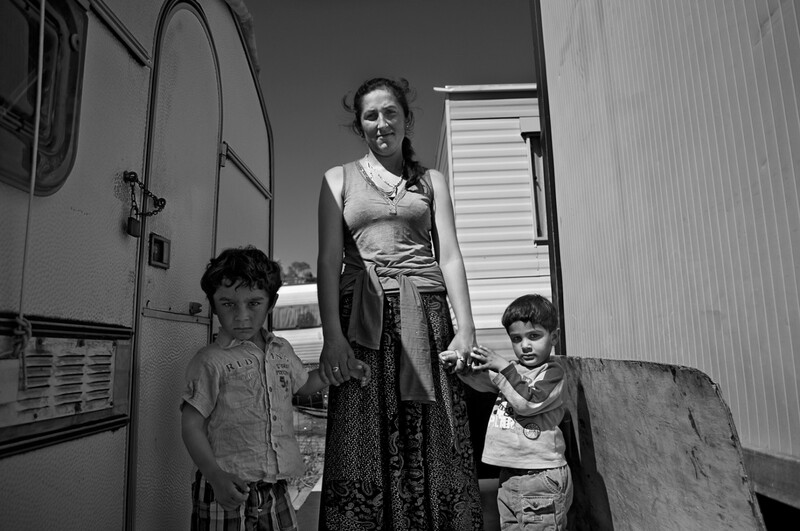 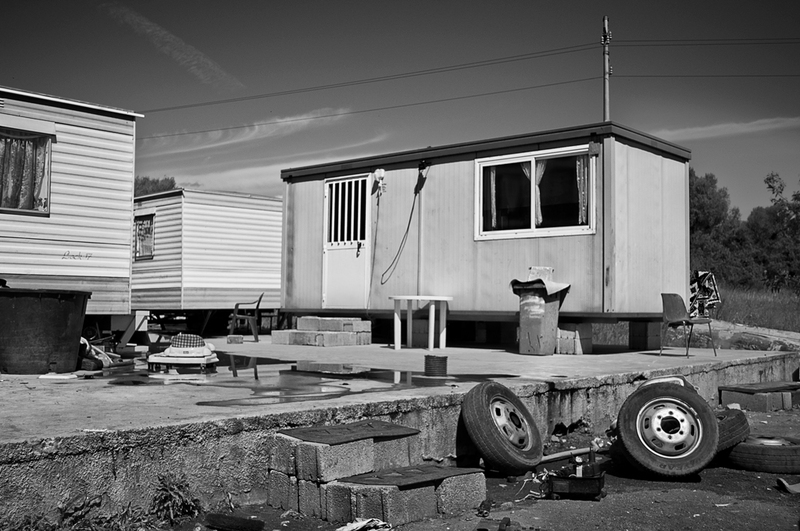 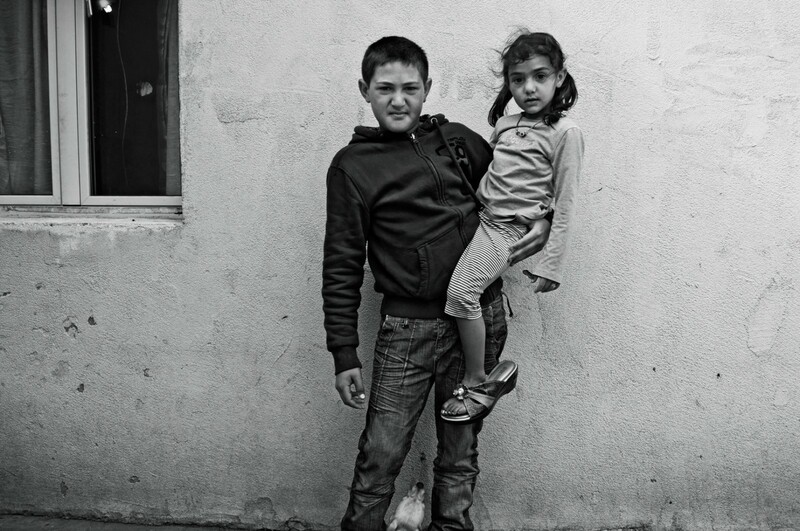 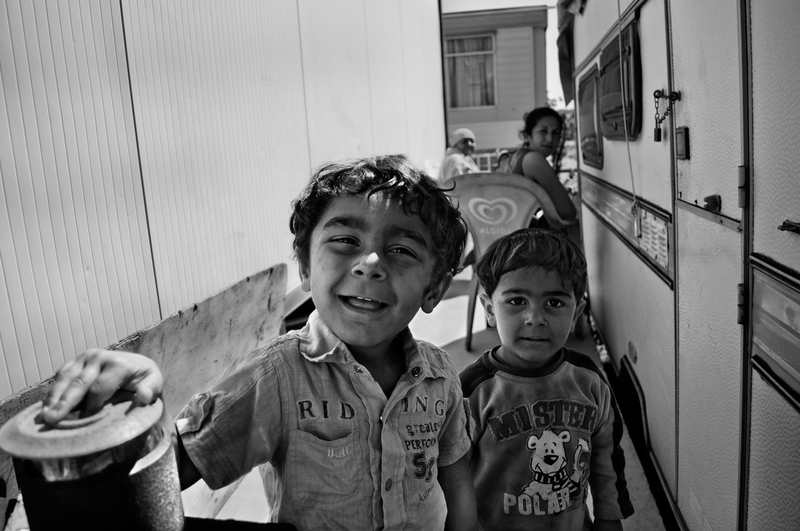 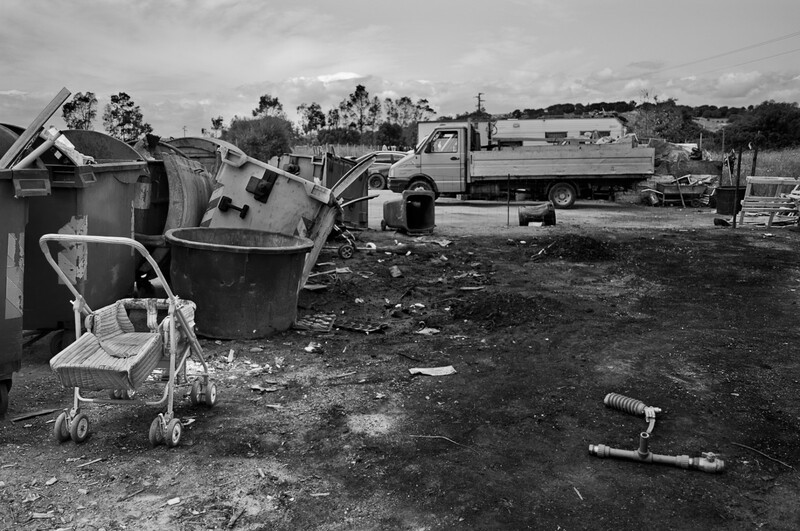 The majority of Roma live in extremely degraded areas, in caravans and social houses that are designated and segregated from the local residents by local administrators and discriminatory planning laws. 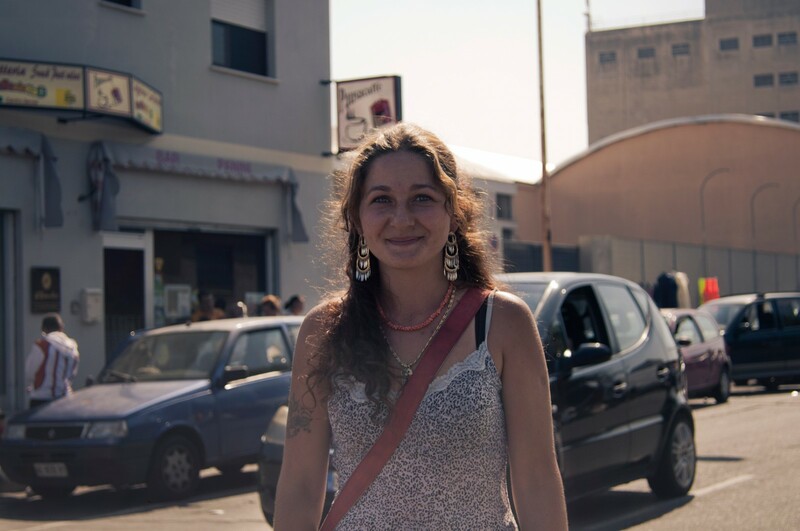 It was very difficult persuading the people I met that my intentions were transparent: people who have to face daily discrimination are often on the defensive. 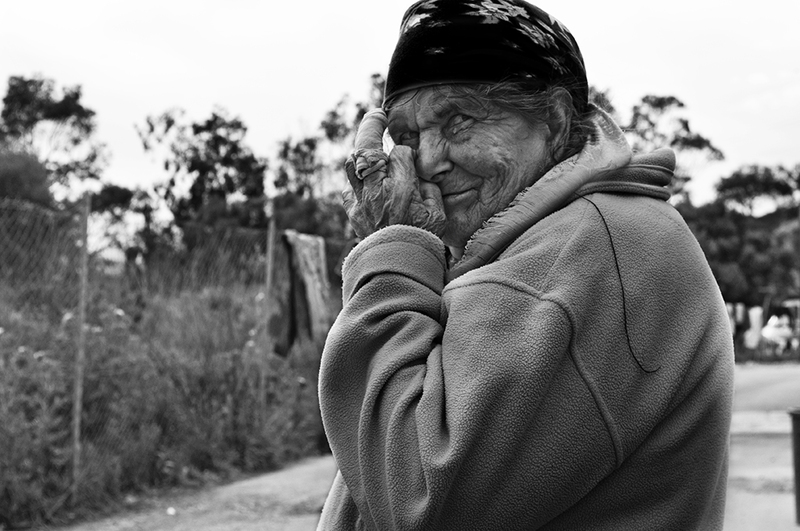 It took me five months to just obtain their permission to take my first photographs. 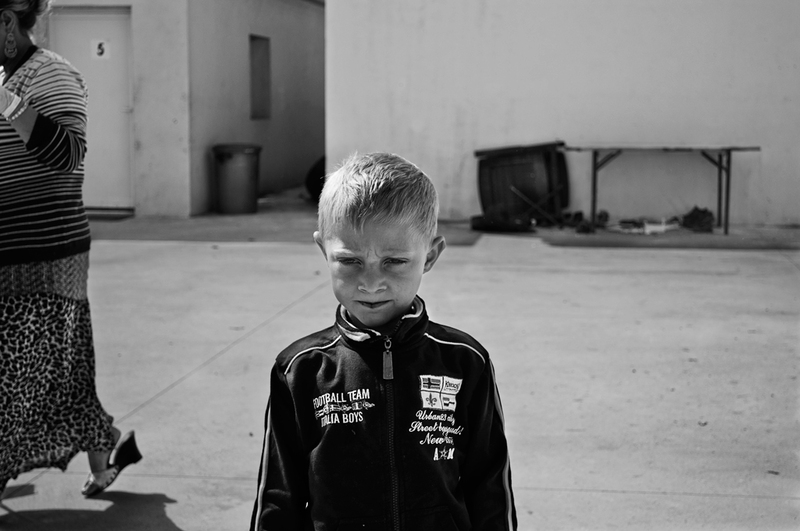 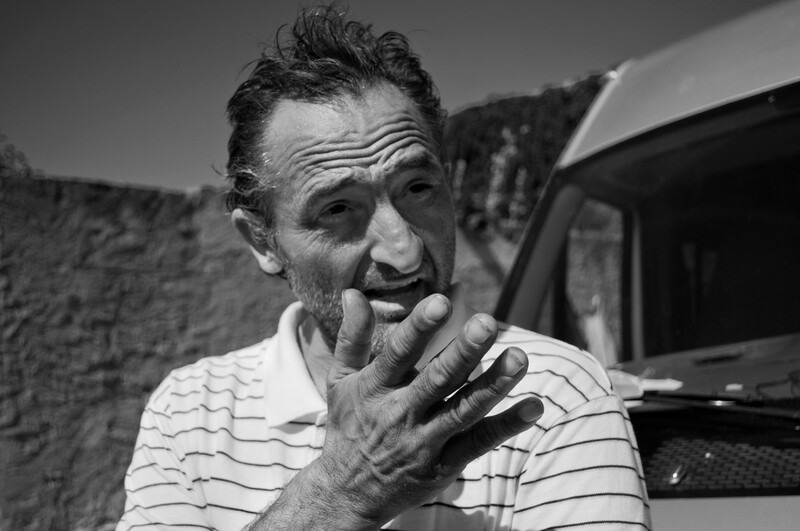 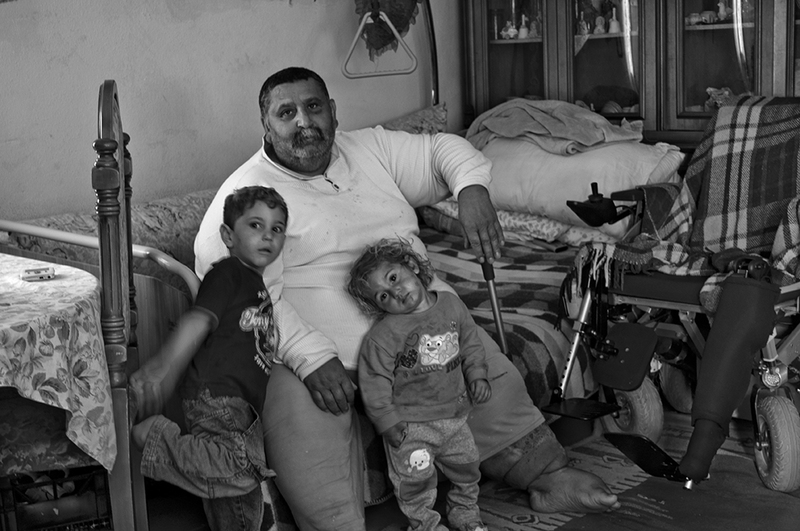 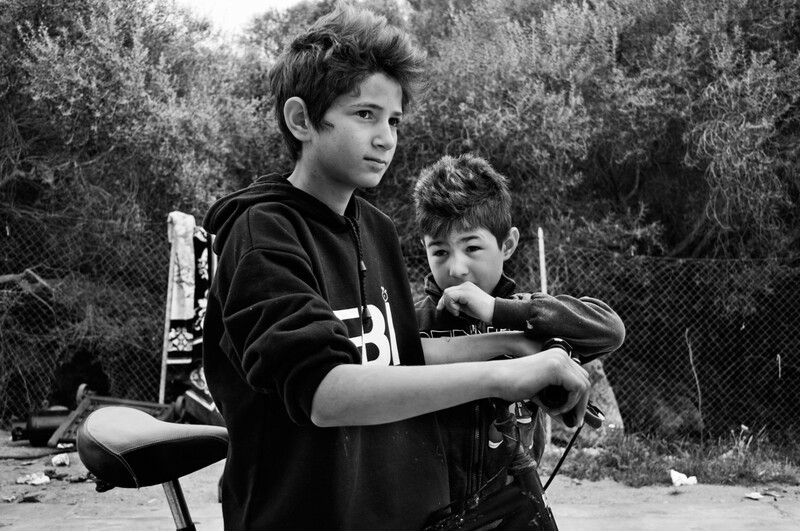 I wanted to show to everyone who still sees Roma under the lens of prejudice, the enormous difficulties that this community faces in their daily life in Italy. 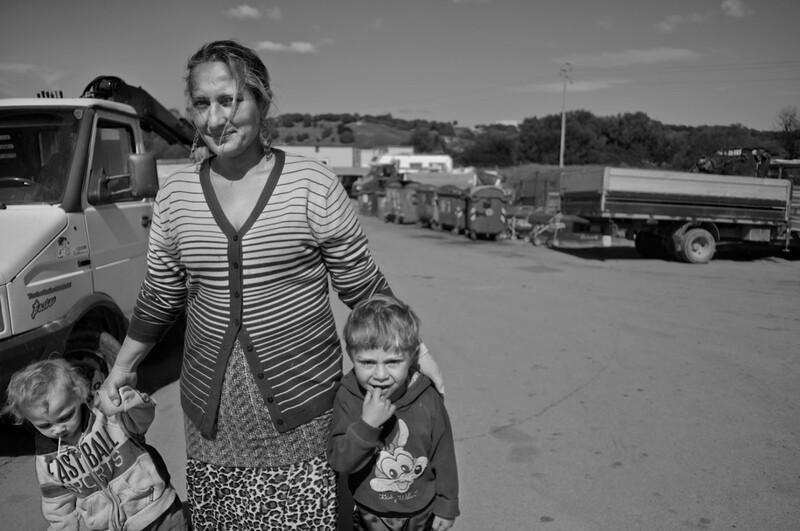 I began this project because of the rise in violent attacks against the Roma that are becoming more frequent and seemingly condoned by a shamefully large number of my countrymen and women.